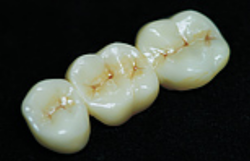 Digitally designed full zirconia crowns and bridges, ideal for posteriors in cases with low clearnance and bruxism. From past many years, we are engrossed in providing excellent quality Zirconia Crowns. A dental crown is a cap that covers a damaged tooth to protect what remains of the tooth structure, providing you with a strong, long-lasting layer of protection between your tooth and your mouth. 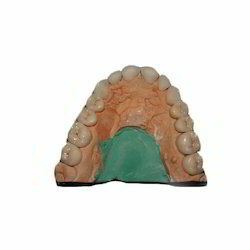 Being a well-distinguished company in the market, we are into offering Zirconia Crown. Customer design and manufactured by Twin city dental laboratory. The ZR crown is a monolithic Zirconia restoration quarantined against fracturing..
- Used for the aesthetic and functional rehabilitation of the dental -maxillary system: prosthesis of the edentulous spaces, immobilization of the teeth affected by periodontal disease, bite equilibration and improvement of the aesthetic aspect. We are a well-renowned organization in the industry to provide our patrons the best quality array of Solid Zirconia Crown.